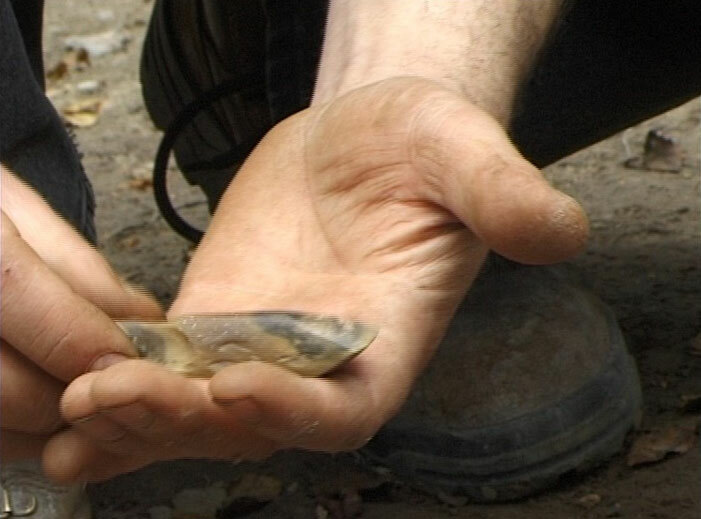 Little had been found from the Neolithic period until an exceptional polished Late Neolithic Flint Chisel measuring 7 centimetres by 2 centimetres was found on the boulder clay in Trench 16 in 2002. Unfortunately we were not able to find any associated archaeology or comparably dated material from the area, so it was felt that this wonderful chisel may have been ritually buried as we had no evidence for settled habitation.
" This artefact is best described as a 'waisted' polished flint chisel. The platform may have served as a point for percussion force to be applied in using the tool. It is possible that the atrefact was hafted (at the waist) into a bone or wooden haft, split for the insertion of the tool, and bound using wet sinew...Such elaborate and careful polishing of flint tools is normally associated with Late Neolithic Assemblages. Although parallels must exist in the Derbyshire/ Manchester/ South Yorkshire region, I have yet to find a comparable piece." 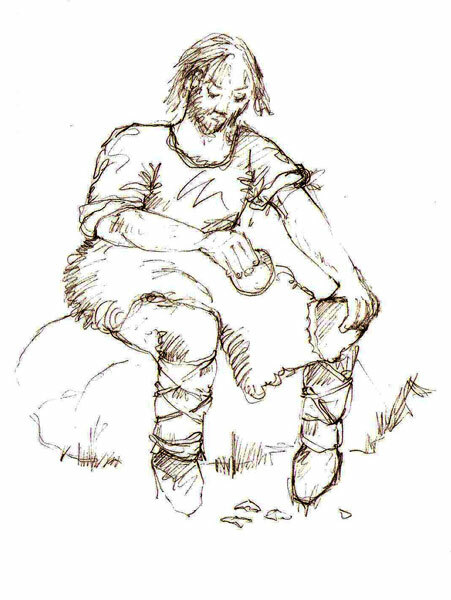 We understand the Neolithic period to have been a transition from nomadic lifestyles of the Mesolithic times to the settlement and the gradual introduction of farming which we see in the Bronze Age. Tool technology progressed from the composite microliths used throughout the Mesolithic period to individual items such as leaf shaped arrowheads and polished stone axes, many of which were produced in regional centres such as Cumbria and distributed accross the country. Ritual associated with death became more important and high status artefacts began to be deposited in burials.